There's a bit of a stigma attached to both recycled and refurbished golf balls. While that stigma may be valid particularly against the refurbished balls but there's a bit more to it. What's the difference between refurbished and recycled? 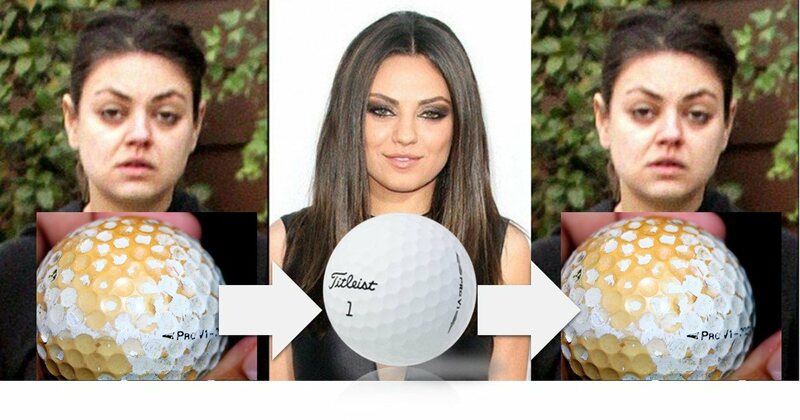 How do they refurbish a golf ball? 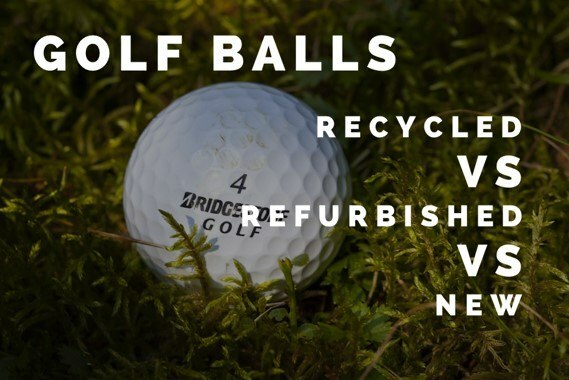 What are the pitfalls of recycled, refurbished and new golf balls? What's the performance difference between the three? In essence, you're getting a golf ball that looks brand new but is a second hand ball that has been stripped of some of the outer layer and repainted. A recycled ball on the other hand is a ball found on the golf course and resold in the condition that is was found. The seller will more than likely clean it with some soapy water and a towel but you're getting a ball that hasn't been altered other than by nature. Refurbished golf balls are sandblasted by the company that purchases/finds the, In the sandblasting process, a fraction of the cover is stripped away to remove all exterior scratches. After the sandblasting process, they then paint the cover with a glossy finish and restamp the ball with the desired brand and model. There's not too much wrong with recycled balls. If you buy them from a reputable seller, you'll get a decent collection with five out of every fifty being a bit scruffy but still playable. The only real issue with recycled balls are the ones that have been burned by fire or have their cover chipping and peeling away. Otherwise the difference for the average golfer is negligible. Those yellow blemishes on the golf ball? I've never found them to affect my performance. If every shot you're playing counts for $20,000 like a professional, it would be something to worry about. 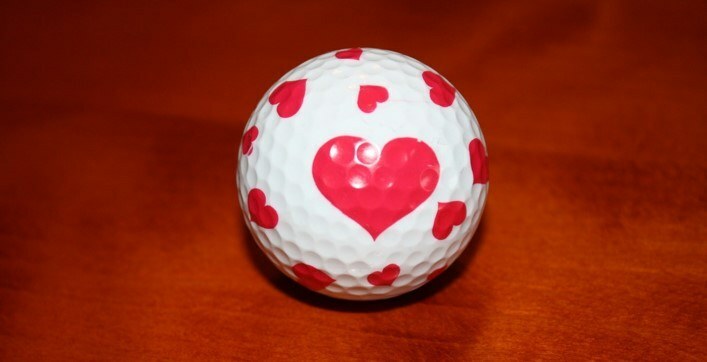 A lot of guys complain about other peoples Sharpie markings or corporate logos on recycled golf balls. But if you're buying used golf balls, that's like getting free ice cold beer and complaining that it's not your favorite brand. Just take it and run! There's something untrustworthy about these balls. In general, you're getting a recycled ball that's been made a bit smoother with sandblasting and a new coat of paint plus a new stamp of the brand you're looking for. Now is that ball with the Pro V1 stamp on it, really a Pro V1? In other words, did they sandblast and repaint another brand and trick you into buying a fake Pro V1 by stamping it with Pro V1? Those are the questions I ask myself which means I don't recommend playing refurbished balls. The only problem you're going to have with new balls is the price, especially if you lose a few! What's the difference in performance? New balls perform best and as advertised. The refinished and repainted covers of the refurbished golf balls wear off and reveal the worn out old cover underneath pretty quickly. In terms of performance, they'll perform similarly to a new ball if they're not too old or too waterlogged, but how can we know what condition they were in before they were repainted? And is that Pro V1 really a Pro V1? Recycled balls perform very well and it's easier to see what condition they're in before you hit one! You'll noticed immediately if the cover has been worn away by the sun or water. In general, with the huge demand for used golf balls, lost balls don't spend too long in the water or the woods. There's always someone finding them and reselling them so you can bet on them performing very close to a new ball. Which one you buy all depends on your priorities. Are you a new golfer? It's best to get second hand golf balls and anything will do. Lost Golf Balls are a reputable company. Are you a high or mid handicapper who doesn't lose many balls? Buy new and get the best you can afford to maximize your performance. Check out my guide for high handicappers here and mid handicappers here. Does the thought of losing an expensive or new ball make you tense up and hit poor shots? Downgrade to a lower priced ball or buy used. Do you need the best performance possible and have unlimited funds? Buy the best new balls you can. There's no right or wrong answer really but I urge you not to be suckered into buying refurbished golf balls. I hope I've convinced you to avoid playing refurbished golf balls and are more comfortable teeing it up with a second hand ball that's merely been cleaned with some soap and water. Don't overthink it - if you like new balls play new balls. If you want to save a few bucks and you're prone to losing a few, feel happy in your decision to play second hand!